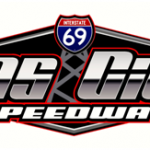 GAS CITY, Ind., Feb. 2 – From sprint cars to monster trucks and everything in between, a diversified, 25-event schedule featuring 16 different classes of race cars and 14 sanctioning bodies is set for Gas City I-69 Speedway in 2019. The season begins Friday night, April 26 and concludes Sunday afternoon, Oct. 6. Anchoring the schedule will be the 410-cubic-inch, non-wing sprint cars and UMP modifieds, which will compete regularly on the quarter-mile, semi-banked clay oval. The non-wing sprints have 17 dates and the UMP modifieds have 19. The track’s non-wing sprint car action is sure to be intense, as Gas City will offer the popular and exciting division the largest weekly purse up for grabs in the entire state. Three events will pay at least $2,000 to the feature winner. After a one-year absence, USAC’s Indiana Sprint Week will return to Gas City for its opener on Thursday night, July 18. The USAC AMSOIL Sprint Car Series visits again on Thursday night, Sept. 26 for the second annual James Dean Classic. Three major winged sprint car programs are scheduled. The Sprints on Dirt series returns after a 20-year absence on Friday night, June 14. The Great Lakes Super Sprints, which brought the largest field of sprint cars of any race last year at Gas City, will return on July 26. The FAST on Dirt winged sprinters, which featured one of the most exciting races of the season last year, invade on Friday night, Aug. 30. Midget racing will also be well represented. The speedway will host round two of the USAC NOS Energy Drink Series’ Indiana Midget Week on Wednesday night, June 5. Non-sanctioned “open” midgets (May 17, July 18, Oct. 5), USAC Midwest Thunder SpeeD2 midgets (June 14, Aug. 2, Aug. 16 and Sept. 13) and the UMRA TQ midgets (May 17 and Aug. 9) round out the mighty midgets’ appearances. New events for the season include the American Ethanol late models and modifieds doubleheader on Sunday evening, May 19. The American Ethanol modifieds return on Friday, Sept. 13. The BOSS non-wing sprints will make their first Gas City appearance on Friday night, Aug. 9. A “Night of Destruction, Thrills and Chills” is set for Saturday night, Aug. 10 featuring monster trucks, school bus races, a mini-van demo derby, a rollover contest, trailer races and a hornet enduro. The inaugural Fall Festival of Speed will feature 11 divisions of racing Oct. 5-6. In addition to non-wing sprints and modifieds, a merged class of super streets and thunder cars will compete frequently. A meeting will be held soon to finalize the 2019 rules for the combined class. The former front-wheel-drive (FWD) compacts will expand to include rear-wheel compacts as well, and that class will be renamed the hornets division. Rules for this class will be released soon. Other classes include RaceSaver and CSR co-sanctioned 305 winged sprints and winged and non-wing outlaw 600cc mini-sprints. The A-class 600cc winged micro-sprints and 1,000cc winged lightning/mini-sprints will rotate regular appearances throughout the season. Popular in Western Ohio, the tough trucks – four-cylinder Ford and Chevy pick-up trucks – will make their first appearances at Gas City this season with five scheduled dates. Gappens will also incorporate his signature “intermission” entertainment for event nights, including an aerobatic stunt plane show, fun theme nights, human bubble ball, kids’ coin scrambles, toss-the-helmet competitions, spectator races for “soccer moms” and much more. For complete schedule information and other news, visit the speedway’s website at www.gascityi69speedway.com. Fans and competitors can also follow the speedway on Twitter: @GasCitySpeedway; Instagram: @GasCitySpeedway and Facebook: GasCitySpeedwayOnTheGas. The complete schedule will be posted on gascityI69speedway.com. Saturday, Aug. 10 – Night of Destruction, Thrills and Chills! Monster trucks, school bus races, hornet enduro, mini-van derby, rollover contest, trailer races and more!